Mexican cuisine has its roots in traditional cooking based on ingredients which are indigenous to the region such as maize, beans, tomatoes, squash, peppers and jicama with primary sources of meat being domesticated poultry and wild animals native to the region including fish in coastal regions. As Europeans and other visiting cultures found their way to the region they heavily influenced Mexican food with the introduction of new farming techniques, domestic, livestock such as cattle, new ingredients, and new cooking styles. Spanish colinization of the Mexican region during the 1500's has heavily influenced authentic Mexican cuisine as we find it today. We tend to think of Mexican food as one cuisine but the food eaten from region to region within Mexico varies significantly for historical reasons and due to the availability of ingredients. Broadly Mexico can be divided into 6 culinary regions. The north is well suited to the farming of livestock such as cattle for dairy and beef, and the production of grains such as wheat . 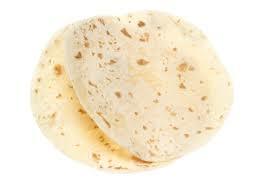 As a result the cuisine in the north features many meat and cheese dishes with flour tortillas and breads as a staple. Flavours in the north are heavily influenced by the fact that many foods such as beans an chillis are not used fresh as they must be preserved or dried so they will keep in the desert climate. Cheeses produced in the northern region include queso fresco, cuajada, requesón, queso menonita, and asadero. Cooking in the Oaxaca region is largely based on local ingredients such as corn and seafood , and Spanish introduced ingredients such as pork and chicken . Techniques used to cook these ingredients are heaviliy influenced by the traditional indigenous culinary practices of the region. 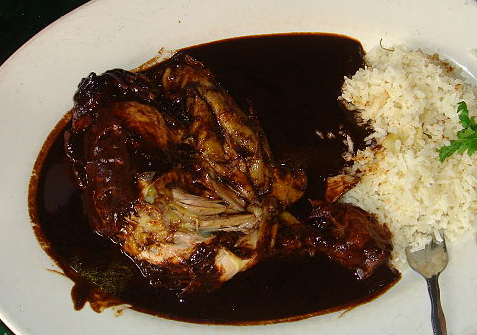 Mole dishes originate from this region. Cuisine in Mexico City & Puebla is a melting pot of popular regional cuisines from around Mexico and dishes from around the world. Being one of the largest metropolitan centres in the world life is faster paced in this region and street foods are popular. Common dishes include: Barbacoa, Cemitas, Mole Poblano, Chalupas, chiles en nogada, cecina. Cuisine in Central Western Mexico has strong Spanish influences and as a result rice, pork, and spices are the foundation ingredients for most dishes. Food in Veracruz is heavily influenced by indigenous, Spanish, and African cuisines which were introduced along with the slave trade. Ingredients introduced by Europeans such as Cilantro , Pineapples , and Olives meld with native tropical fruits , fresh seafood, and other ingredients from around the region such as sweet potatoe to create a rich and diverse cuisine. Cuisine in Yucatán has a strong Mayan heritage along with Carribean, French, and Middle Eastern influences which make it quite different from other clinary regions in Mexico. The use of Habanero peppers is prevalent and meat is often rubbed with spices such as achiote before being cooked in pits giving it distinctive colours and tastes. In contrast to roasting meat the practice of marinating seafood in spices, vinegar, and citrus juices to make a ceviche is also common. Tropical fruits such as e tamarind and avacadoes regulary feature in foods from this region. Common Dishes include: Poc-Chuc, Chiltomate, Cochinita pibil, Papadzules, Pozol, Brazo de reina, Recado rojo. Traditional home cooking in Mexico is quite different from the foods presented as Mexican throughout the world which are often based on Mexican street or festival foods. 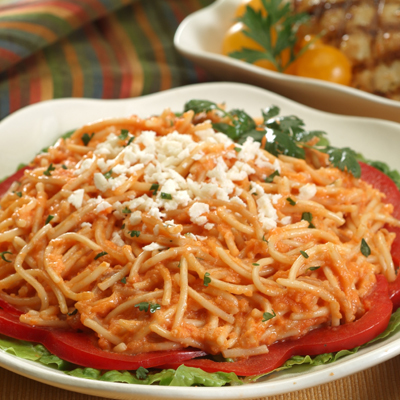 Mexican home cooking is simpler than street or festival foods as is the case in the cuisine of many cultures. We find it useful to describe the typical meals in a Mexican day when we are asked what is authentic Mexican cuisine? 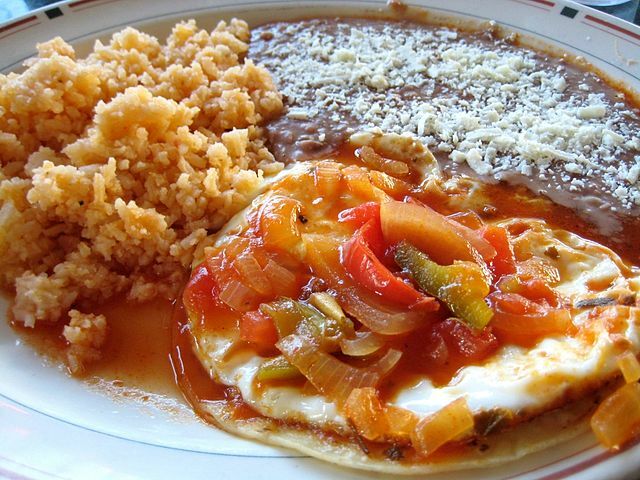 Amuerzo is a more substantal breakfast such as eggs tortillas and beans which is eaten a little later in the morning or for brunch. The most sustantial meal of the day in Mexico is Comida or lunch lunch which starts in early to mid afternoon and can take a few hours to enjoy. Comida traditionally consists of a soup course, a dry soup course, a main, a dessert and is often accompanied by fruit flavoured water. Sopa Seca is the second course in Comida and is made from rice, strips of dried tortilla , or pasta cooked in a broth until the liquid is completely absorbed. Guisado leterally translates to stew in english and is the main dish served at comida. Guisado usually consists of seafood, meat or poulty served with rice and/ or beans and some hot tortillas. 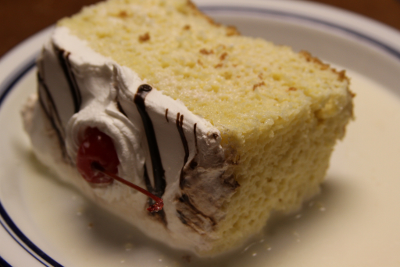 Much like in many cultures this is a sweet dish such as a flan, cake, or a pudding which is taken at the end of comida. 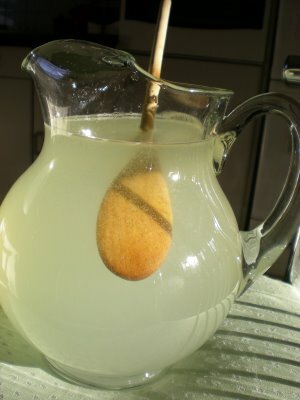 Agua Fresca is a non alcoholic drink based on fruits or grains, and sugar which is a common accompaniment for comida. The last meal of the day in Mexico is known as Cena and is usually the lightest meal of the day which is eaten later in the evening. 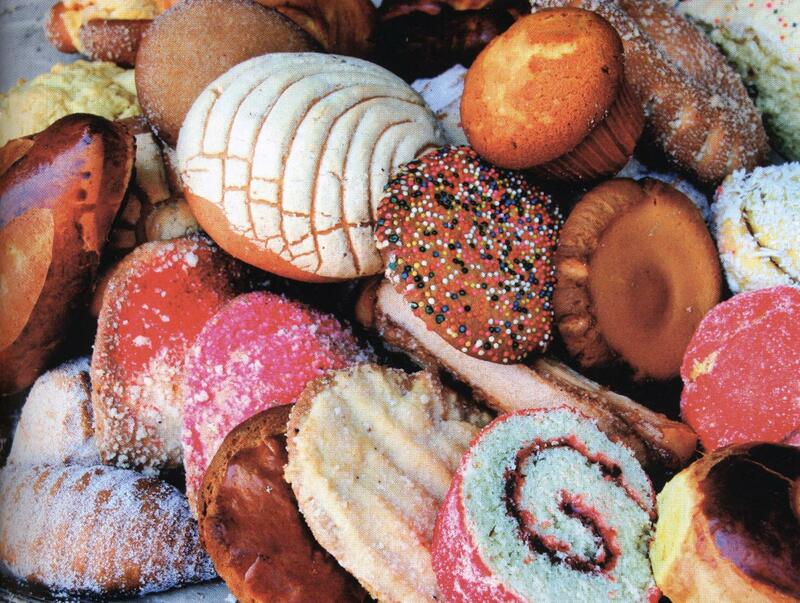 Cene often consists of hot milk, hot chocolate , Pan Dulce , or maybe even a taco made with left overs from comida. 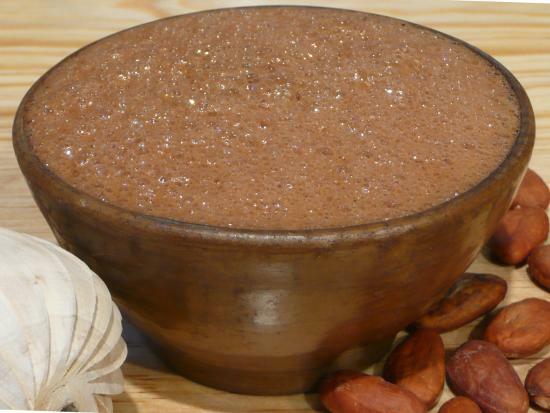 Mexican people were the first to make Xocoatl or cholcolate from Cocoa beans . 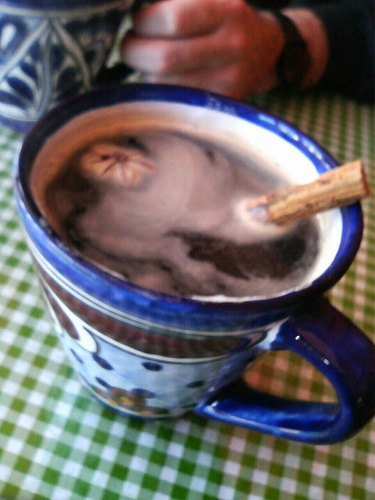 Hot Chocolate is a rich drink which was traditionally made by roasting and grinding Cocoa beans and mixing them with water, and other ingredients such as Vanilla and corn. Chocolate drinks made using this method were said to allow a soldier to march for a whole day after consuming just one cup. Mexican street food is readily available from vendors on the street and in markets around the country. Street food is known as antojitos which translates literally to "little cravings" and are most commonly consumed in the mornings and evenings outside the mid afternoon hours which are occupied by comida. Common street foods include Tacos, Tamales , Tostadas, quesadillas, Tlayudas, Gorditas , Chalupas, and of course sopa. This is just a small sample of the vibrant street foods you can experience if you visit Mexico. Thanks for visiting, I'm Rob a passionate home cook and my creative outlet is my kitchen. 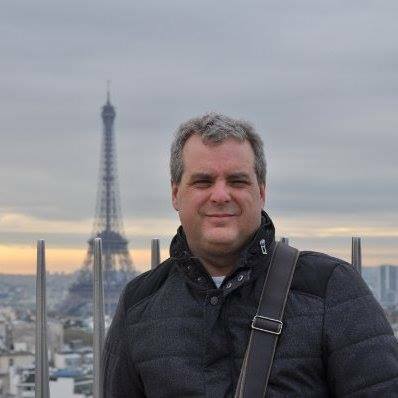 Livetocook.com is my way of keeping a track of my culinary learnings and my favourite recipes, please think of it as a personal journal of my cooking mis-adventures . I hope you get as much enjoyment out of your visit as I get from creating it. And please always feel free to get in touch with your feedback or just to say Hi, we look forward to hearing from you. This work by Rob Galloway is licensed under a Creative Commons Attribution 4.0 International License. Based on a work at http://www.livetocook.com.